(South Lake Tahoe, CA) There are over one billion websites on the World Wide Web today. With this high volume of competition, it is more important than ever before to have a site that not only functions properly but also provides a dynamic, problem-free user experience. In an effort to help business owners maintain their website and server, Dynamic Web Development has launched a new effort providing this service. 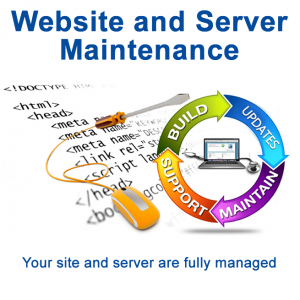 The monthly maintenance service offered by Dynamic Web Development provides clients with 24/7 server uptime monitoring, software and framework updates, unlimited changes from clients, websites linked to other sites to assist with SEO, email and website server hosting, blacklist check, domain name registration currency check, cPanel, SSL certificate expiration monitoring and more. Additional information about Web Development, website, and server maintenance can be found by visiting the Dynamic Web Development website. Dynamic Web Development is a full-service company, offering a wide array of design and development services for website owners. Some of the most requested services offered by this company including internet marketing, email, hosting, video production, forums, blogs, search engine optimization, proofreading, creative content, architecture, artwork and graphic design. In addition to the aforementioned services, clients can also receive ongoing weekly and monthly maintenance and monitoring services along with any needed updates to keep their site functional and aesthetically pleasing for anyone who lands on it.